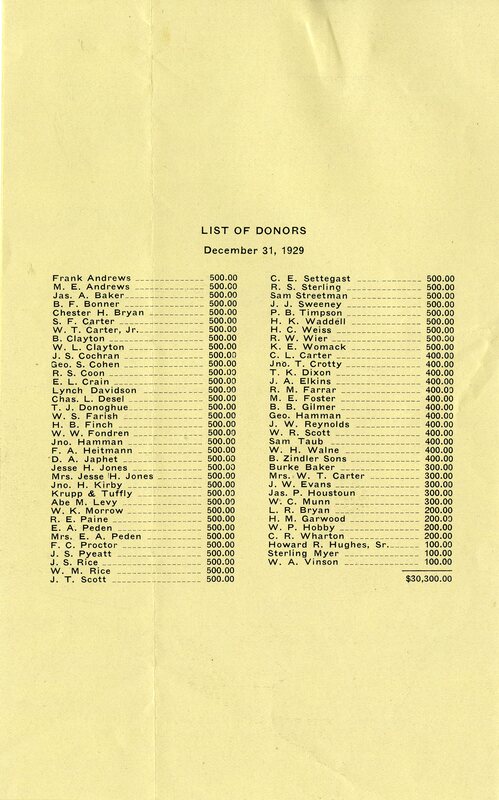 It was the list of loan recipients, though, that really got my attention. Several of them turned out to have been pretty solid investments. Right at the top we see Herbert Allen ’29, Rice trustee and namesake of Allen Center. Then there’s Emmett Brunson ’29, the track star and later long-time coach (whom I just mentioned yesterday). Milton McGinty ’27 designed Rice Stadium with Hermon Lloyd & William Morgan. And Noel Parrish ’28 served as commander of the Tuskeegee Airmen. That’s a lot of bang for the buck–and those are just the ones I recognize. If I had the time I’d track them all down. Bonus: Just as spring follows winter, renovations follow decades of hard use. I knew one of the names of scholarship recipients immediately: Jack Covin (note the spelling). He was my uncle, the brother of my mother. He was very reclusive and I saw him only once. At that time, he lived and worked in Conroe at a business run by one of his sisters. 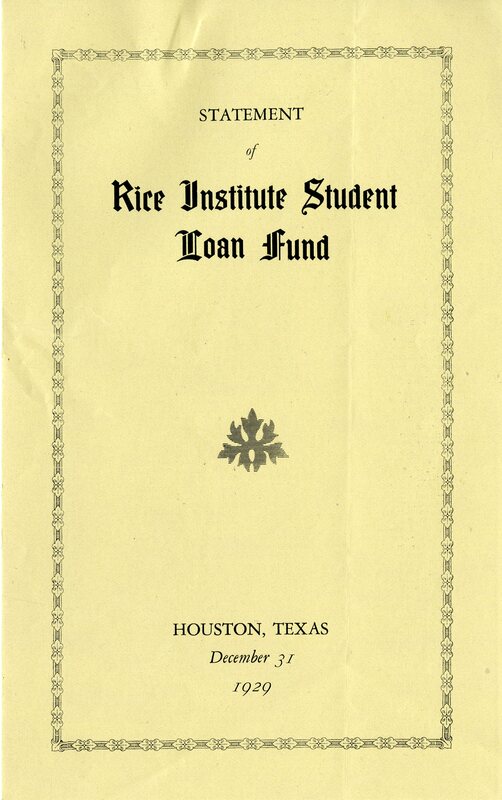 I did not know he had gone to Rice. Born in 1908 in Marshall, Texas. 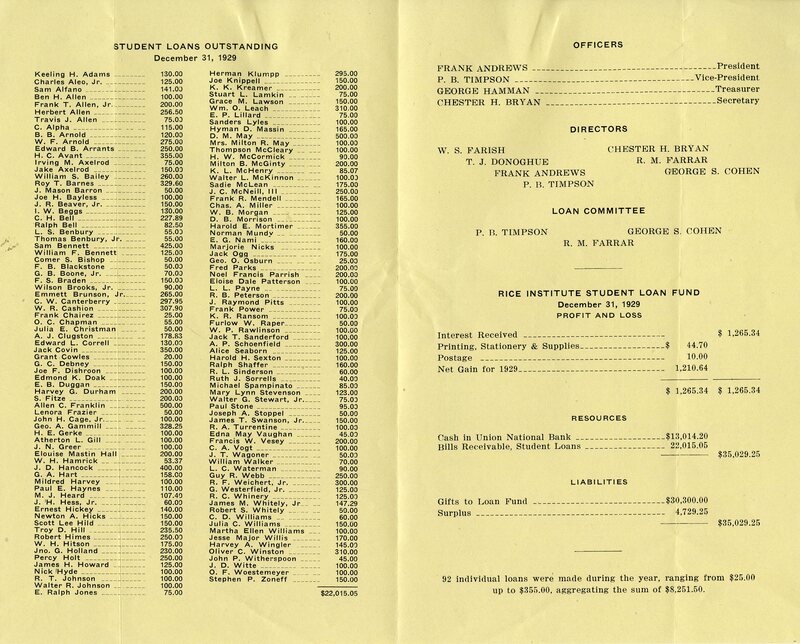 I would be interested to look at the old General Announcements if it listed all the students at the time he entered. I can probably find his application. Will let you know. 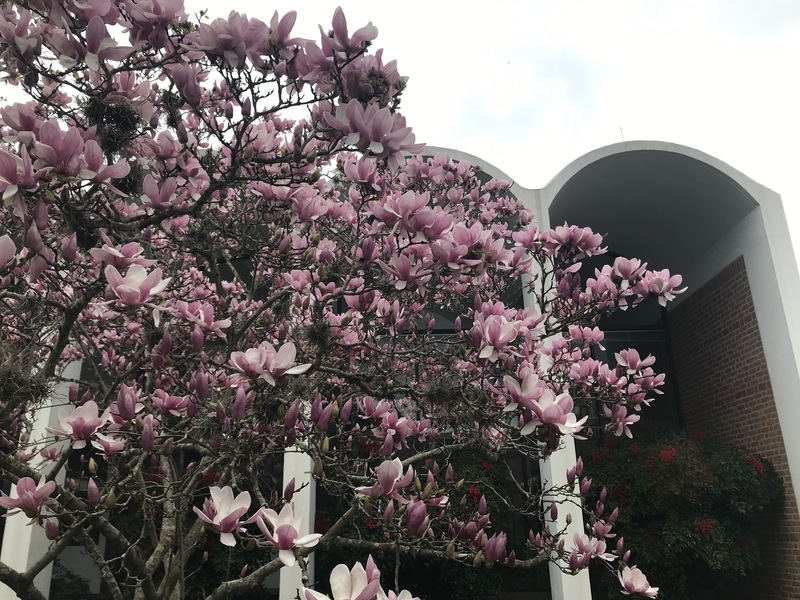 I see the names of two classmates, John G. Holland, who I believe was the father of Two Rice students John Holland and his older sister, Elsa Jean, along with his wife who was also a Rice Graduate ( sorry i don’t know her maiden name) and R.F. Weichert, Jr who may have been either the father or an uncle of another classmate, Rudy Weichert. Fred Parks (a former client) had a very colorful life. Army Air Corps in WWII, then as an attorney and bon vivant in Houston for many years.